In 1989 the original and one of the best meetings of these two creatures showed up in Dark Horse Comics, and it made a perfect match. 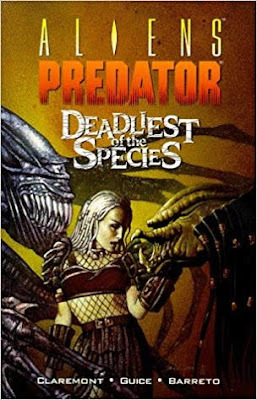 Stradley’s story with Norwood’s (and Warner’s) art brought in elements from the Alien franchise to strengthen the Predator world. The lived in, corporate run, colonization minded, colonial Marine protected future placed plenty of humans out in space for the Yautja to encounter. 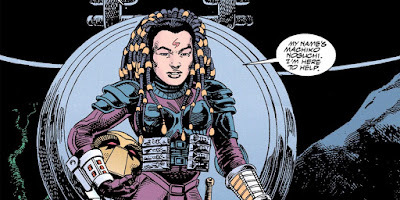 The series took on the Alien film’s notion of a strong female lead in Machiko Noguchi who went on to join a Predator Clan, giving us a human’s eye view of their society in several subsequent adventures. There’s something about the collaborative nature and technically unrestricted special effects budget of comic books that seems to enhance crossovers. There were a great many follow ups to the success of the original. More recently there was the Fire and Stone and Life and Death series. (Serieses? Seri?) 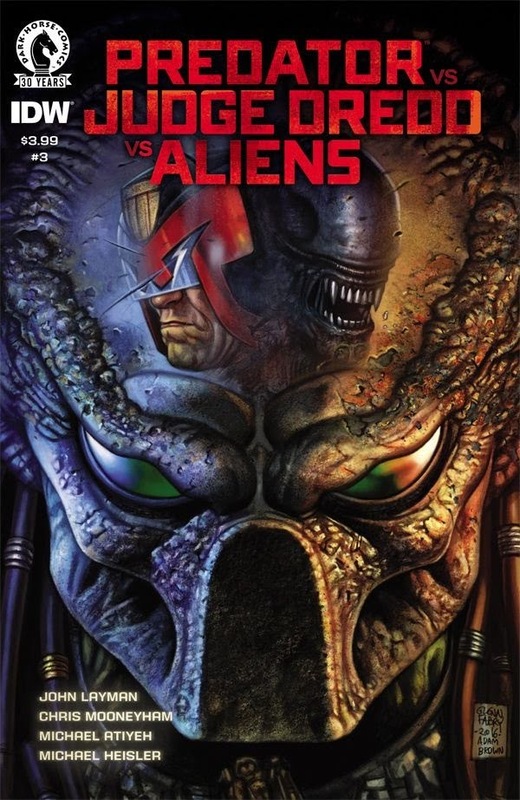 Both were released as four separate miniseries based on Aliens, Predators, Aliens Vs. 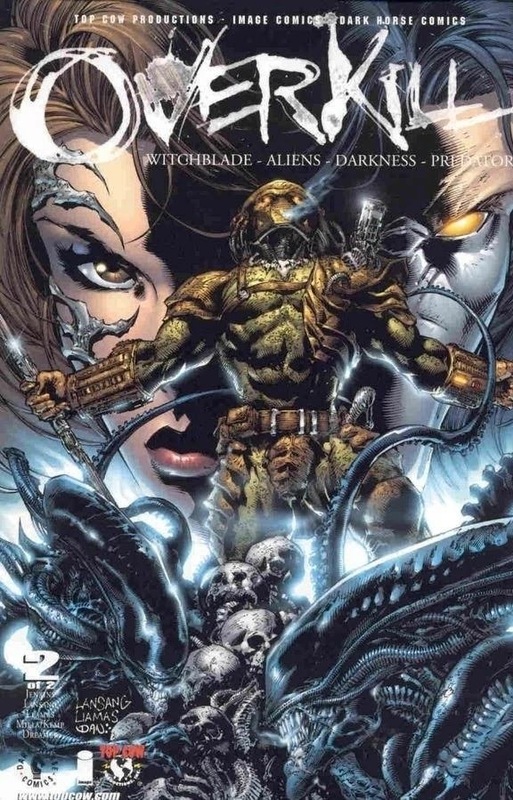 Predator and “Prometheus.” While the Alien prequels were quick to distance themselves from any crossovers, the glory of comic books reveled in it. The Engineers and their genetic altering black goop was yet another element that the Colonial Marines and others needed to face in this roller coaster ride of exploration and betrayal through space. I believe Life and Death is one of those rare sequels that surpassed the original. That’s probably because the four Fire and Stone miniseries all had different writers, while Life and Death was more consistent being all by Dan Abnett, whose work I’m fond of elsewhere. Sometimes the cross overs went even further. As I said last time, both the DC Heroes and Judge Dredd have run into both sets of creatures together, forcing uneasy truces and alliances. The Mark Shultz (a name we'll hear again) Batman Superman one had gorgeous Ariel Olivetti art. 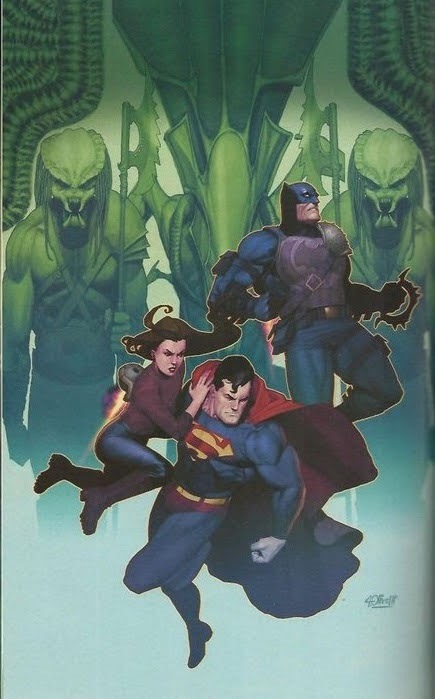 The only place the crossover insanity was higher was in the individual DC Aliens books where a Superman one threw in the Fourth World as well, and a Batman one had an the evil lab genetically modify the Xenomorphs with Arkham inmate DNA…because SCIENCE! In 2000 the independents combined and Top Cow teamed with Dark Horse to have Witchblade and The Darkness battle the Yautja and Xenomorphs. Yeah, there’s a reason that one was called overkill. The aftershock of Nineties comic book weirdness can still be felt today. Also in 2000, another franchise joined in the chaos. It was a natural fit with the heavy basis on androids and AI in the Alien films. Mark Shultz’s (see?) Aliens vs Predators vs The Terminator was a cool one that acted as a direct sequel to the fun and underrated Alien Resurrection. (That's fun and underrated according to me. And if you can’t trust me about crappy movies by this point then who can you trust?) It gave the Ripley clone a satisfying finale, and continued Call’s story as well. 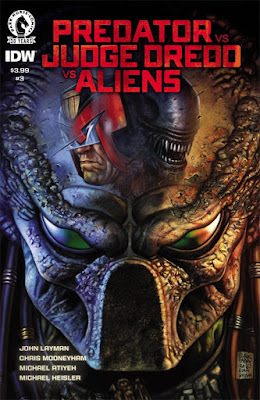 Sadly, a cross over that was nearly as awesome as Aliens vs. 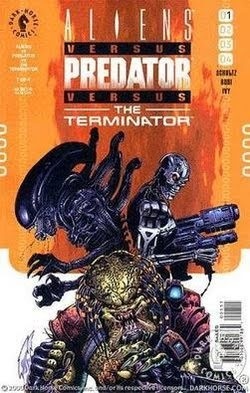 Predator happened a couple years later in 1992 written and illustrated by comic book masters Frank Miller and Walt Simonson respectively. 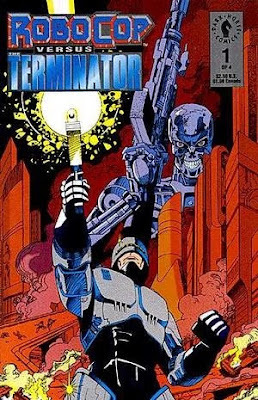 Robocop vs. Terminator tied Skynet’s birth into officer Murphy’s transition and had an insanely over the top ending with Alex hiding his consciousness in the machines long enough to build a future army to battle the already existing future army. Sounds like one of my loopy ideas, doesn't it? Alas, this one didn't take off as well as the organic (in more ways than one) crossover, and the recent attempt to try again didn’t do much for either franchise. 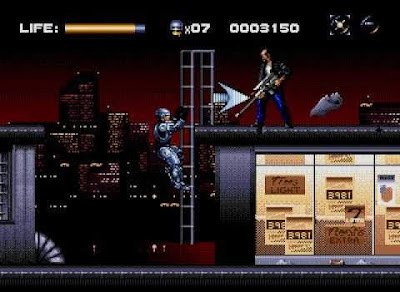 However, the original did lead to one of my all-time favorite Sega Genesis games. Speaking of video games, do you know where else the Alien vs. 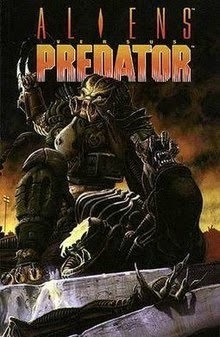 Predator franchise thrived?